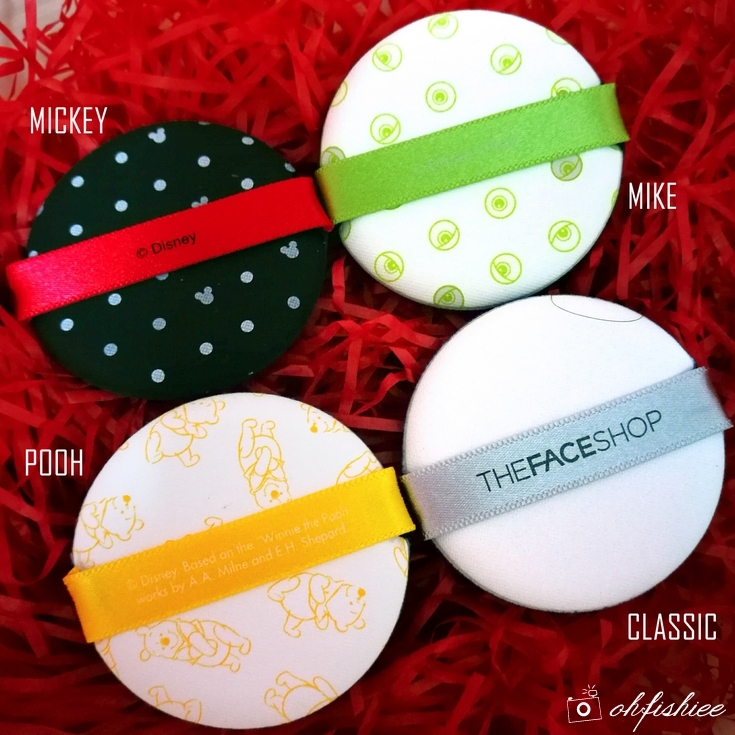 Guess what's my recent beauty haul from THE FACE SHOP? 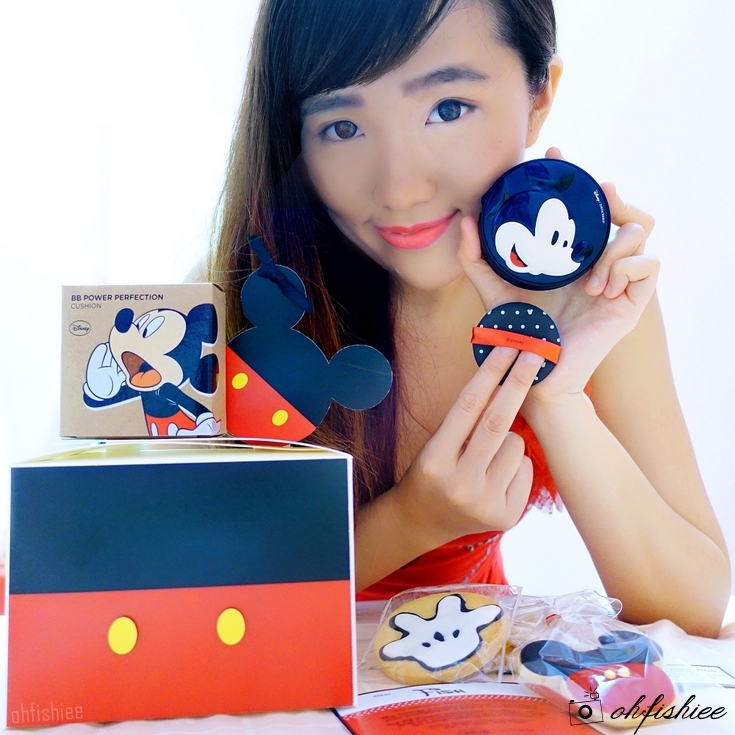 ❤❤ It's MICKEY BB CUSHION! 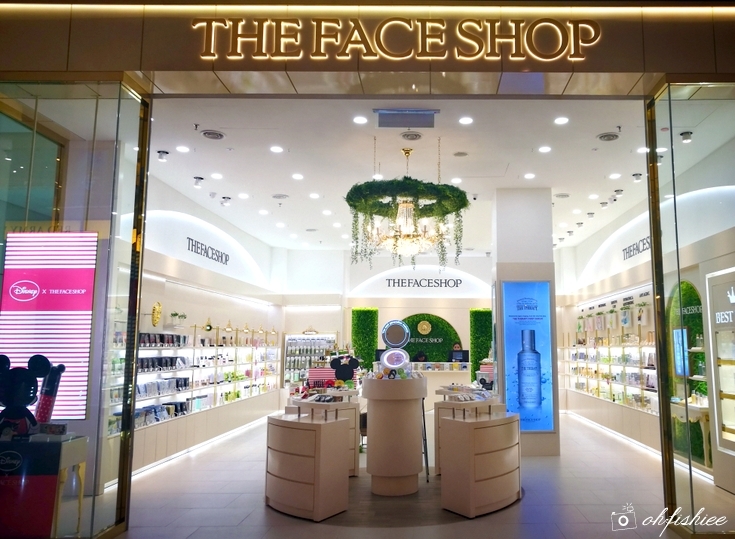 Recently I passed by THEFACESHOP's newly re-opened flagship store in Pavilion KL at Lot 4.52.01, 4th floor (a few doors away from Padini Concept Store). It has given the brand a new facelift, as it looks more organised and spacious, compared to the old outlet on the 3rd floor. 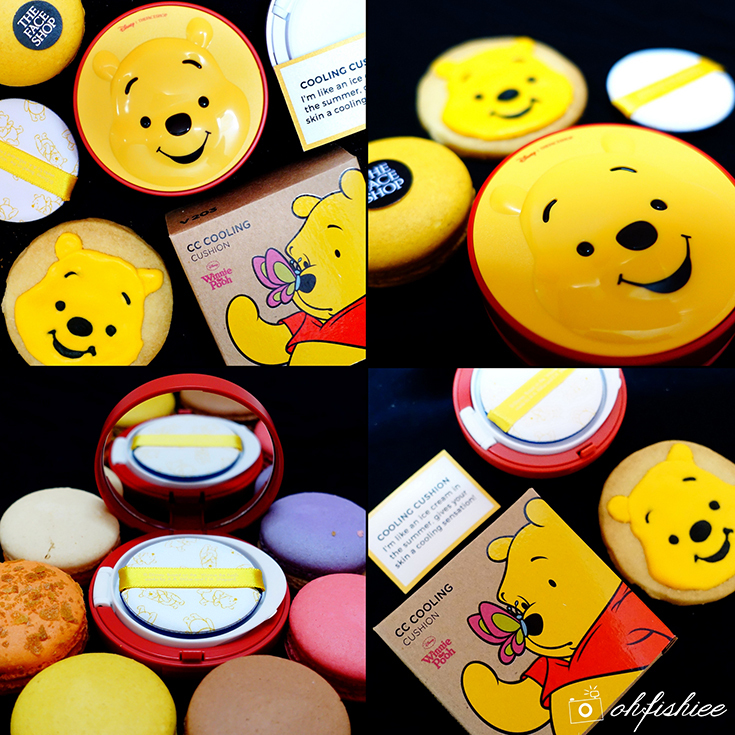 And I found out that this month it is featuring the Limited Edition DISNEY x THEFACESHOP makeup collection! 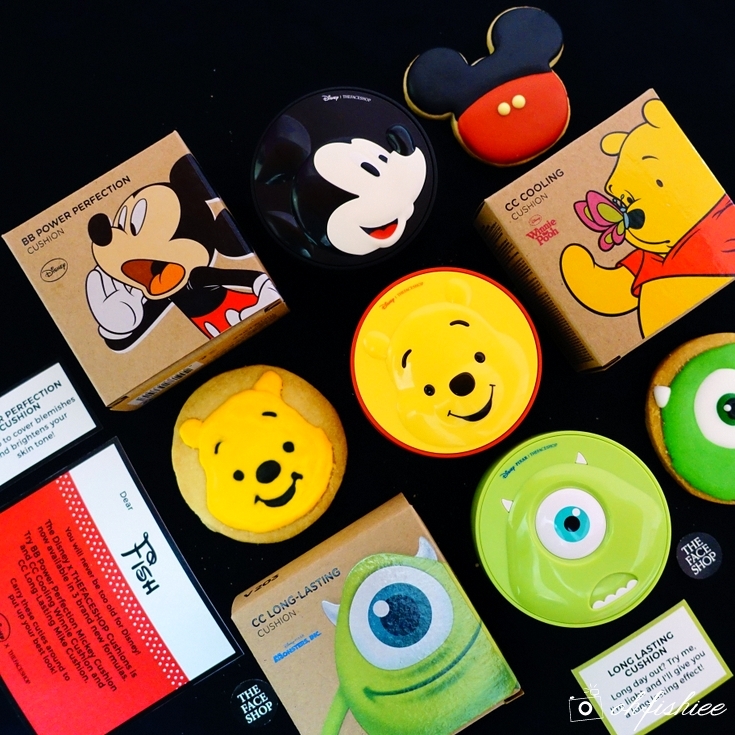 Disney collection features the playful Mickey Mouse, Winnie the Pooh, and Mike from Monster Inc.
Apart from the 3D cushion case, the puff applicator is just too cute to resist!! With the Disney characters printed on them, I'd rather keep them as my collection and doubt them. Anyway, despite of the cuteness overload, the puff applicator here works like the usual ones -- Just press it against the cushion, lightly pat onto skin and reapply on areas of concerns (Undereyes, acne, large pores area, etc) for better coverage. Beauty Tips: Remember to always close the inner lid tightly after use, to keep the formula fresh. Some prefer dewy light coverage, while others prefer something more mattifying on the skin. 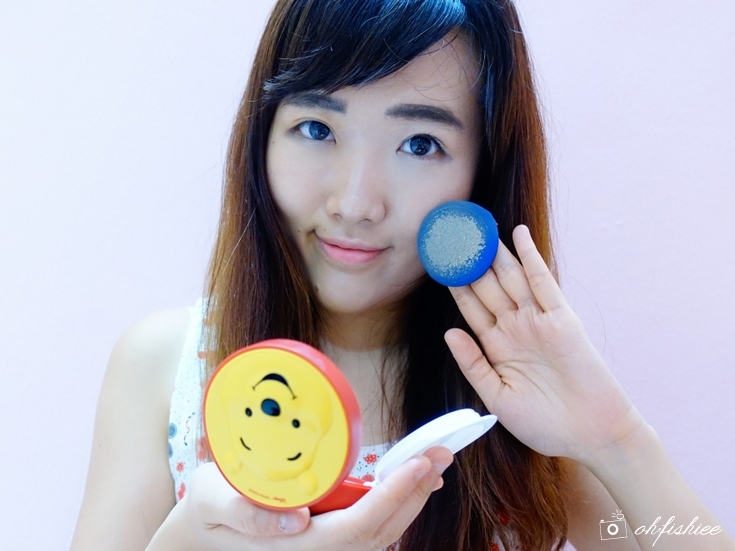 If you prefer the latter, then this BB Power Perfection Cushion is the right one for you as it instantly power-correct skin imperfections and minimise visible dry patches. Although I got all the 3 types of Disney cushions in the same shade-- V203 Natural Beige (Most suitable for Asian skin tone!) -- I realise it actually paints the face with different tones. The Mickey one is slightly more rosy in shade, leaning towards the sandy hues. 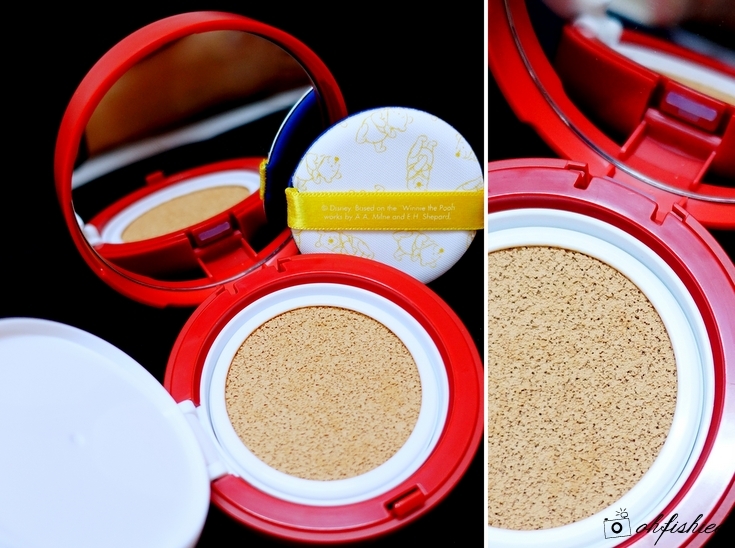 Coverage wise, it is excellent in covering blemishes on the skin. I did a test by applying the BB Cushion on eyeliner and lipstick marks, and was pretty satisfied with the concealing function it has! Usually matte BB cream is not as moisturising as the dewy type, but this definitely does not apply on the Mickey cushion. It contains African Walnut Oil, Sea Buckthorn Fruit Extract and super lightweight Hyaluronic Acid to moisturise, smooth and brighten skin with natural glow effect. ❤ Moisturising, pores blurring, superb coverage and suits all skin types! 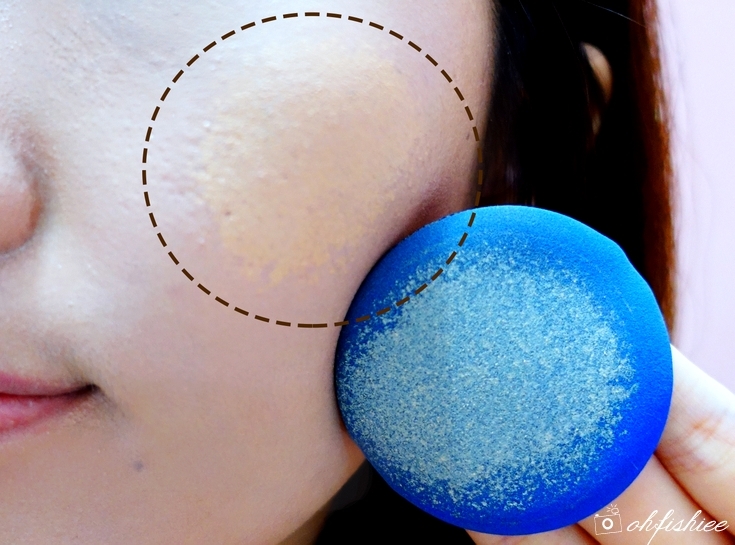 But setting with powder is necessary for a long-lasting makeup. Anyone with dry skin here? I hear you! I am among those who often get frustrated over the cracked makeup which makes the dry skin looks even more tired and pale. 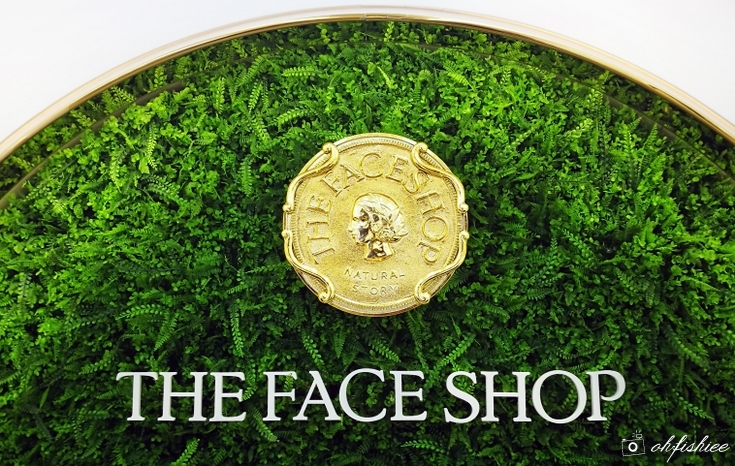 Hence, The Face Shop has come up with this refreshing cushion makeup which features the moisturizing cream texture and hydrating ingredients to relieve dry skin. Are there any special ingredients inside? Of course! Its rich, moisturising ingredients do a great job! ▷ Snow Oil melts on skin to create a cooling sensation and moisturises dry skin. From the sponge itself, I can see how well-packed it is with moisture. Texture wise, it feels cooling, refreshing and moisturising on skin. In terms of coverage, it gives a dewy, glowing finish but I find that the coverage is slightly lacked here. Reapplication is required every few hours. Although it appears slightly more yellowish on the skin, it works well as a Color Correction foundation + Moisture Cream, leaving the skin with a layer of fresh watery radiance. Perhaps sometimes we can be too lazy to bring along makeups when going out. So something that can keep the fresh look for hours would give better confidence and convenience to us. 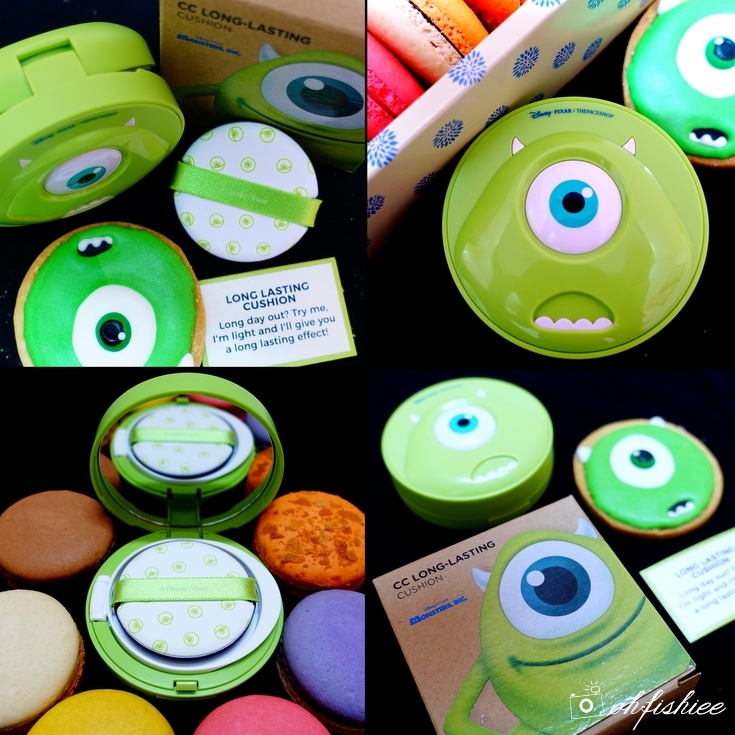 The CC Longlasting Mike Cushion is essentially a skin-smoothing makeup product. Formulated with powder particles of various sizes, it smooths pores, bumps and imperfections. Most importantly, each dab of the skin-fitting formula is able to stay onto skin without feeling sticky or cakey. Specially catered for oily skin, its sweat and oil-resistant formula helps minimise shine and skin stays fresh for hours. 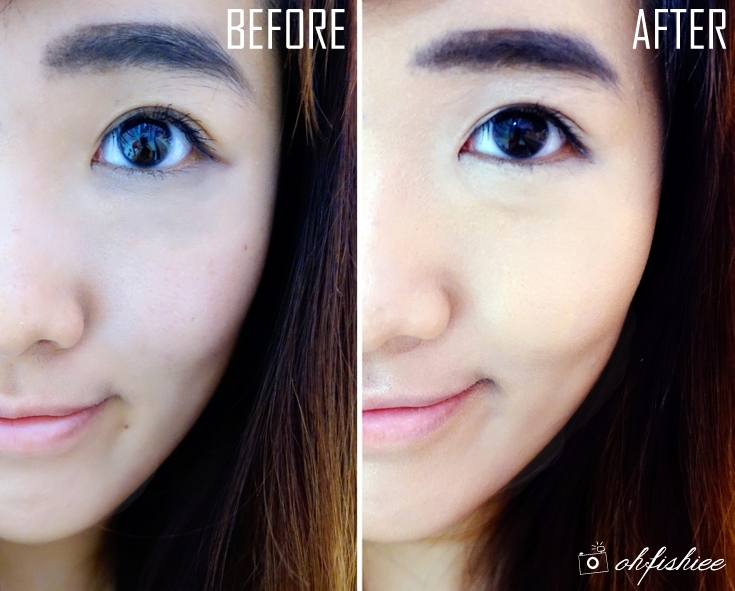 Before blending: It adheres very well on skin without "clumping"
Extremely dewy, light and naturally glowing on skin. 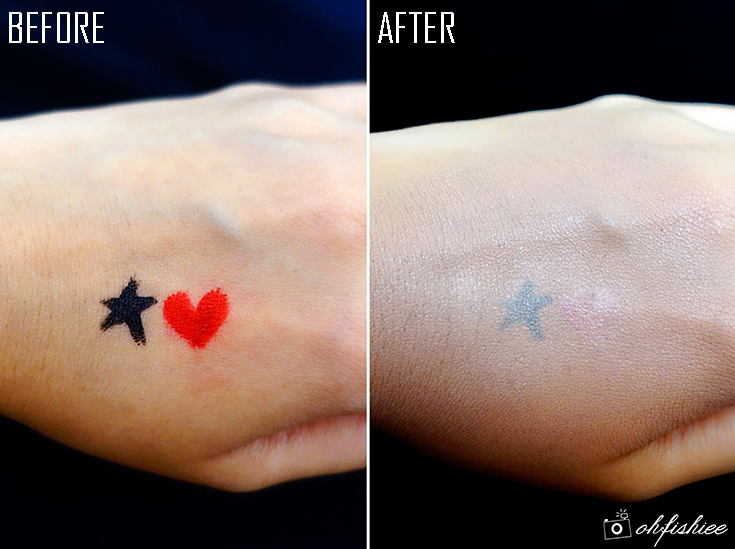 Easy to touch up anytime you want. 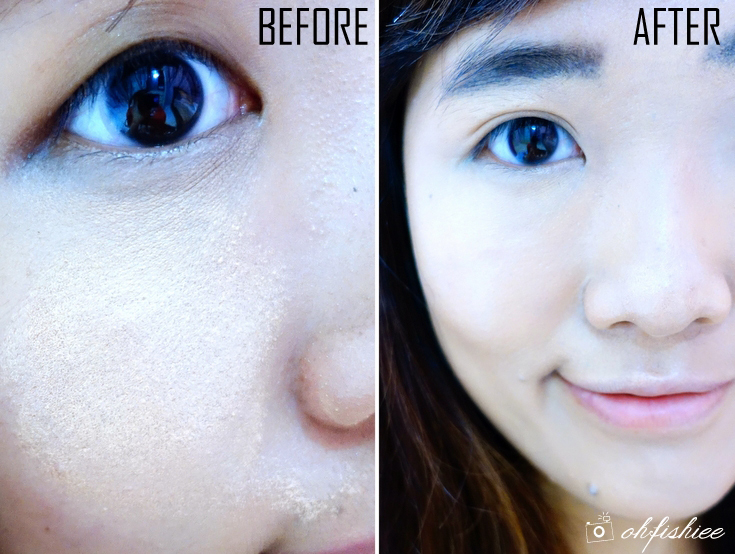 It gives the makeup-less makeup look that every Korean girl loves! But starting with concealer before the cushion is necessary to cover blemishes. 1. Overall, all 3 of the cushions have their own special features for different skin types, with added UV protection to reduce premature aging. 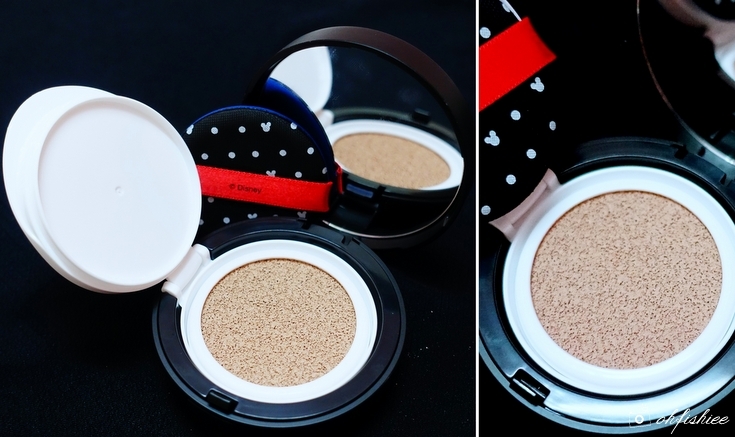 My personal favourite goes to the BB Power Perfection Mickey Cushion due to its strong coverage. 2. 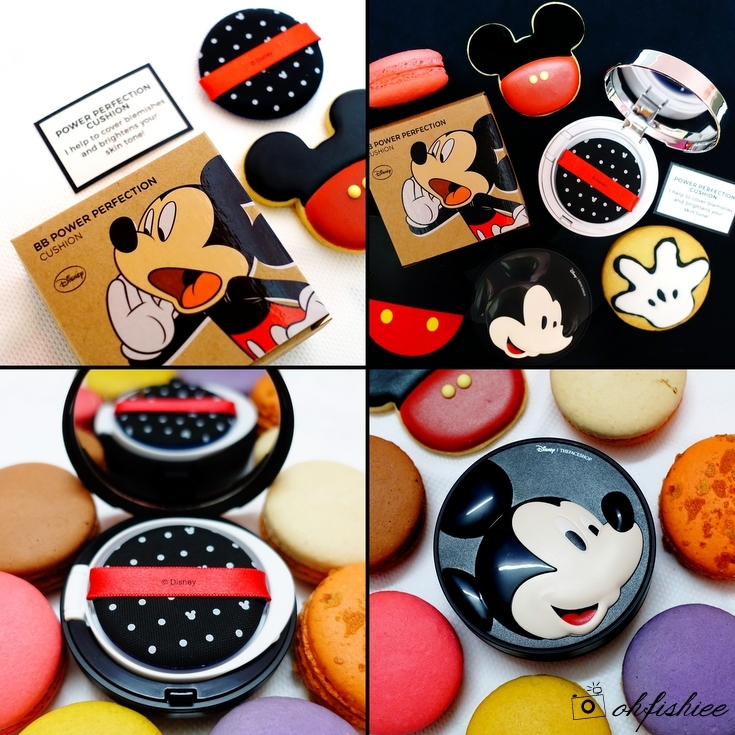 Plus, they come in limited edition Mickey, Pooh and Mike designs in sleek colorful cases! How can I resist that? 3. Does this Disney collaboration worth the hype? Yes, well, at least for the cushion series! Go for it if you love Korean-inspired makeup looks! 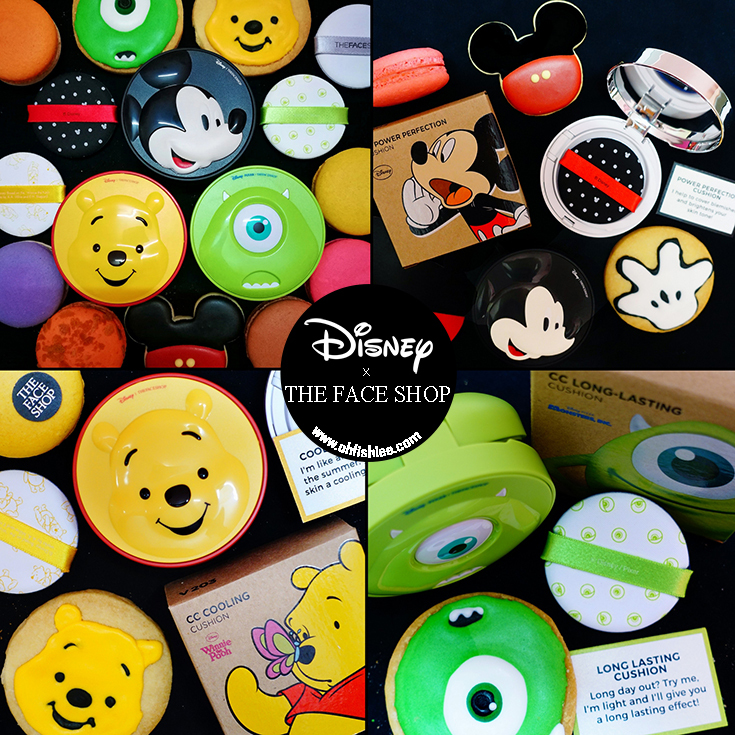 The limited edition The Face Shop Disney Cushion is priced at RM112.25 (inclusive 6% GST) and now available in all THEFACESHOP outlets and e-store.